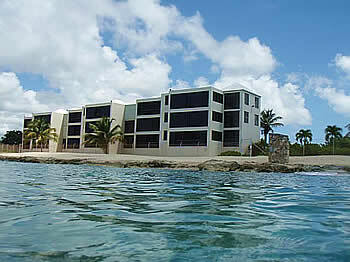 You can’t get closer to the turquoise waters of the West End of St Croix than in this condo! The views are magnificent and the home is so pleasant and comfortable. Harbour Beach enjoys views to Frederiksted town and the cruise ship pier, and of course the beautiful waters of the Caribbean. All of the rooms in this 1200 square foot one bedroom unit are spacious and the gallery is wide open to the sea. Designed for outdoor enjoyment, the kitchen has a pass-through to the gallery. Breezes flow naturally thru this unit and it is typically cool and pleasant all the time. For those few nights when it is not, there is a split AC unit in the bedroom. The living room furniture and some bedroom furnishings are included in the asking price. Harbour Beach is a gated community with secure parking. A private laundry/storage room of 6 X 10 also comes with the unit. This small complex (18 condos) has an on-site property manager, pool, gazebo, and back-up generator. Fees are reasonable at $480 a month, and the community is self-insured. (which means you’ll need windstorm/flood insurance if you finance your purchase). Vacation and long-term rentals are allowed. Contact Kim Lucas, Realtor, for your private showing. Buyer Agent St Croix, East End Plaza, PO Box 24147, Christiansted, VI 00824. 340-626-3758.